Earlier this year, I talked about this Swedish band’s The Sand Beneath the Sea demo EP (which was released in 2010). At that time, the band had released 3 demo EPs but A Vow of Vengeance is the band’s first full-length studio album. 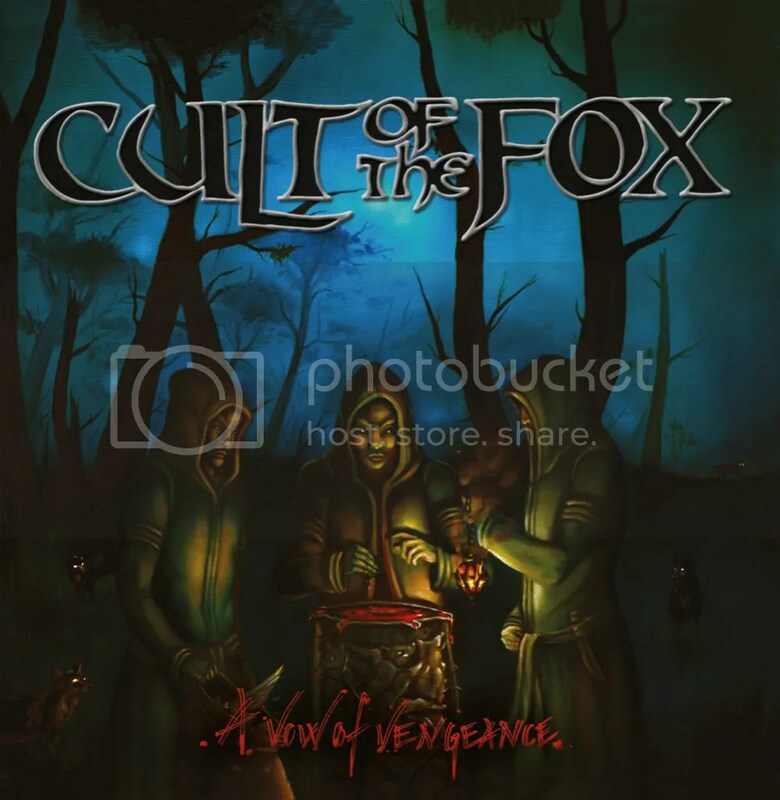 The album features a number of songs from the three previous demo releases: “Cult of the Fox” comes from 2007’s Kitsunetsuki, “A Witch Shall Burn”, “Spirit of the Hunter” & “The Power We Serve” come from 2008’s The Power We Serve and “I’m Working On That” & “Letters of Fire and Sword” come from The Sand Beneath the Sea. I am not sure if any of the other tracks are reworked songs from previous EPs or if they are entirely new songs created with this album in mind. Either way, expectedly, A Vow of Vengeance continues on with the band’s traditional heavy metal/power metal sound they have displayed in the past that brings to mind Grave Digger and early Iced Earth. The only exception is “A Witch Shall Be Born”. I can’t help but get a Misfits feel from that one. This is a solid headbanging album where you’ll at least find yourself stomping your feet from time to time to tracks like “Letters of Fire and Sword”, “Spirit of the Hunter”, “I’m Working On That”. A Vow of Vengeance may not rate as one of the year’s best releases (with me anyway) but it is good and is worth looking into if you’re a fan of traditional metal. Cult of the Fox has a lot of potential. 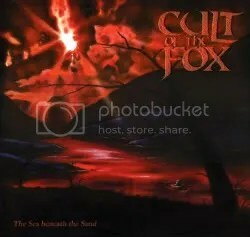 The Sea Beneath The Sand is old school heavy metal and the latest round of demos/EP (third total) from Sweden’s Cult of the Fox. Drawing on influences such as Manowar, Iced Earth, Judas Priest, Dio and Grave Digger the band plays in a traditional metal/’80s power metal style. They cite themselves as contemporary metal but I only really get that feeling (and just slightly) on the pounding “I’m Working On That”, which also seems to cross over into stoner rock territory. Given that this is a set of demos, there is a simple and organic feel to the production but that works in favor of the songs, giving them a bit more teeth. “Letters of Fire and Sword” (great title!) is the EP’s true standout track. Just a galloping good time with some nice bass and it displays a bit of a thrashier of the band reminding of Metallica and Iron Maiden. “Out of Order” is an upbeat anthem about rebel-rousing and “The Sea Beneath The Sand” starts off slow and then picks up the pace with some Maiden gallop. These demos are a solid listen and they shows that Cult of the Fox are a band with a lot of promise. I would definitely be interested in hearing what the band could do on an entire album. Recommended for fans of classic metal.